Summer is in the air, and the city seems to have caught a fever. 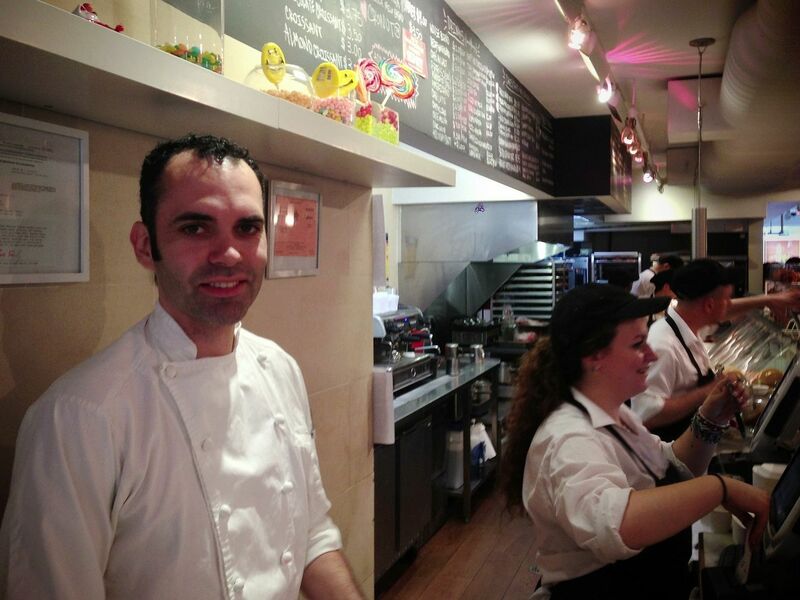 A ‘Cronut’ fever that is. Created by pastry chef Dominique Ansel, this deep fried donut-croissant hybrid perfection has hordes of New Yorkers dragging themselves up at the crack of dawn to get their hands on these buns since its debut on 10 May. 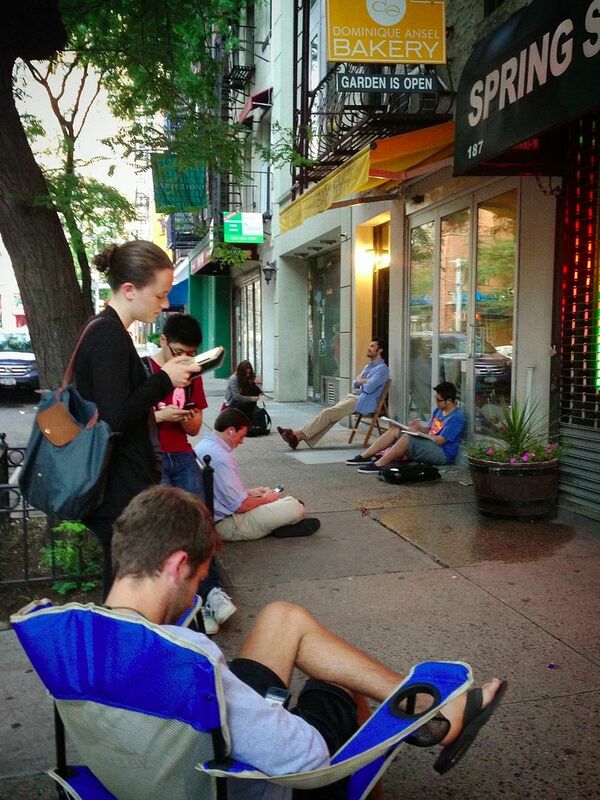 In a craze last seen with Magnolia Bakery’s cupcakes a decade ago, the obsession seems to grow daily as the queues in SoHo snake along Spring street and wraps around the corner onto Thompson street as early as 7 am. 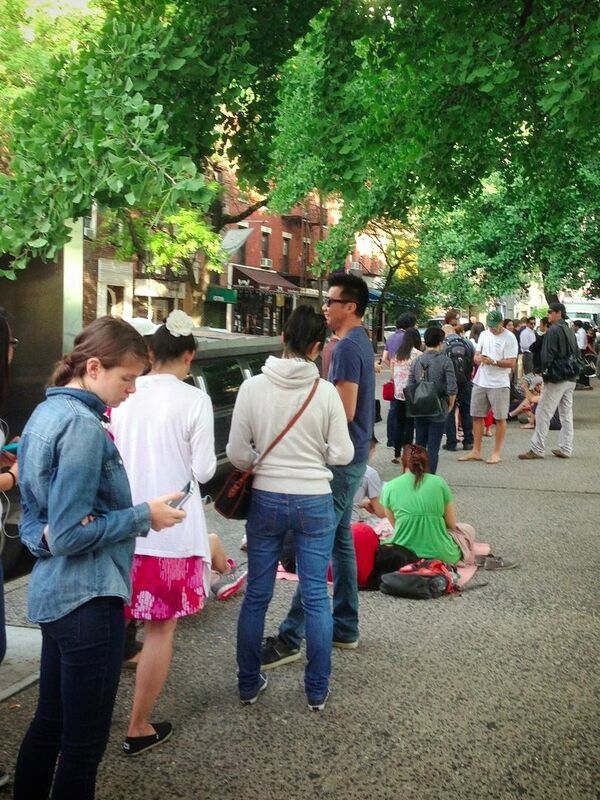 To cope with the demand, Mr Ansel has limited the number of Cronuts each person in line could buy from 6, to 3, to only just 2 now. This would ensure that the first 100 crazy people in the queue would get their hands on the much sought after confections. After hearing so much about it and procrastinating for a month, i decided to check out the hype myself. When i got there at 5.50am, i was already #10 in line. The first guy at the head of the queue had started queuing at 4.30am, and within the next half an hour, another 50 people materialized behind me. Next came the reporters, who have picked up on this craze. They hail from countries as diverse as Denmark, Sweden, Hong Kong, India and even Australia, all wanting to write a story about the latest fad that has gripped New York City. Even Hugh Jackman himself, who lives right up the road in the West Village, was seen queuing up for these babies a few weeks ago. 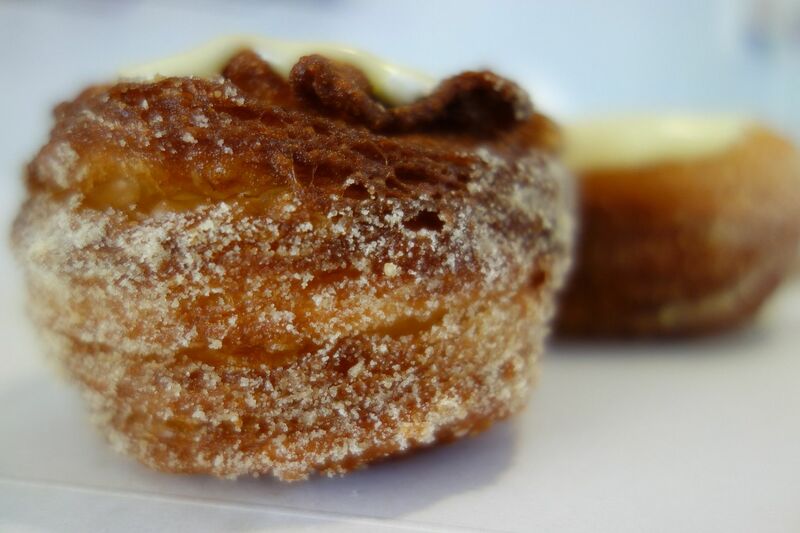 It is worthwhile to note that a shady parallel industry of Cronut-scalping has sprung up, and people have reportedly been offering $150 per Cronut, or a 3000% mark up on the selling price. This is Manhattan after all. At 8am sharp, with the crowd getting restless, the doors to the bakery were flung opened and everyone cheered, as if they had won the lottery. The baristas did a fantastic job in moving the queue along, and in 45 minutes, all 200 Cronuts packed in pretty gold boxes were gone. Now down to the actual thing. 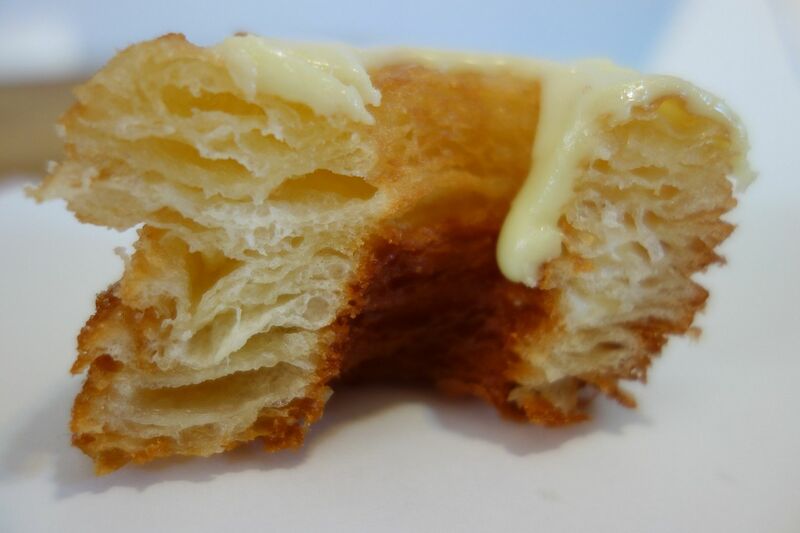 The Cronut tastes exactly like what it sounds. Covered in a deep fried outer skin, the rich flaky layers of dough broke apart easily like a croissant, yet had the yummy sweetness of a freshly fried doughnut. The closest comparison i can think of would be a mix between a 油条 and a churro, except that it is not that chewy. Beard Papa-esque cream can be found inside the filling, but the lemon-maple sugar coating whilst giving a nice zing to the whole creation, was a tad too sweet in my opinion. 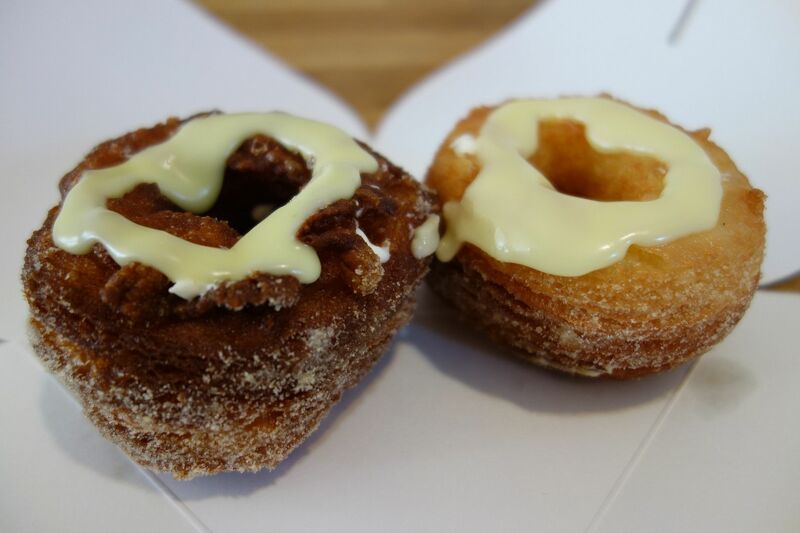 Overall, the Cronut is close to perfection. However, it will be extremely unlikely for you to find me queuing for a pastry on the streets of SoHo at 6am again.